I actually started working for luxury labels in skincare with my time at CHANEL and Tom Ford. But when it came to looking after my skin I was not really that bothered, I didn’t moisturize much. I discovered my love on Skincare and a product formula back at my time in CHANEL as business manager and trained consultant at the Academy of CHANEL. Since then I had admired brands like Creme de la Mer I was fortunate enough since blogging been able to try the range and see what I thought. Of course I couldn’t say no – would you?! So, with traveling so often it is typical my skin to become dry and parched. So with this in mind, I am in need of some good TLC and CDLR came in at the right time. After plenty of late nights and even more early mornings I started to gain dark circles under my eyes – not cute. Part of the range was The Eye Concentrate. This product is a deeply conditioned cream formulated with hematite, to help minimize the appearance of dark circles, surface discolorations and unevenness. PERFECT. After Fashion month and using the product daily the reduction in the circles and even a lines and (laughing) wrinkles has become softened. Over time, a healthier, smoother and more luminous look is revealed and don’t I know it! For those of you who aren’t familiar with the extraordinary heritage of La Mer, its story of hope and perseverance belongs to Aerospace physicist Dr. Max Huber who began a personal quest to transform his skin after suffering laboratory burns half a century ago. 12 years and 6,000 experiments later, the Miracle Broth – inspired by the healing powers of sea kelp – was perfected. 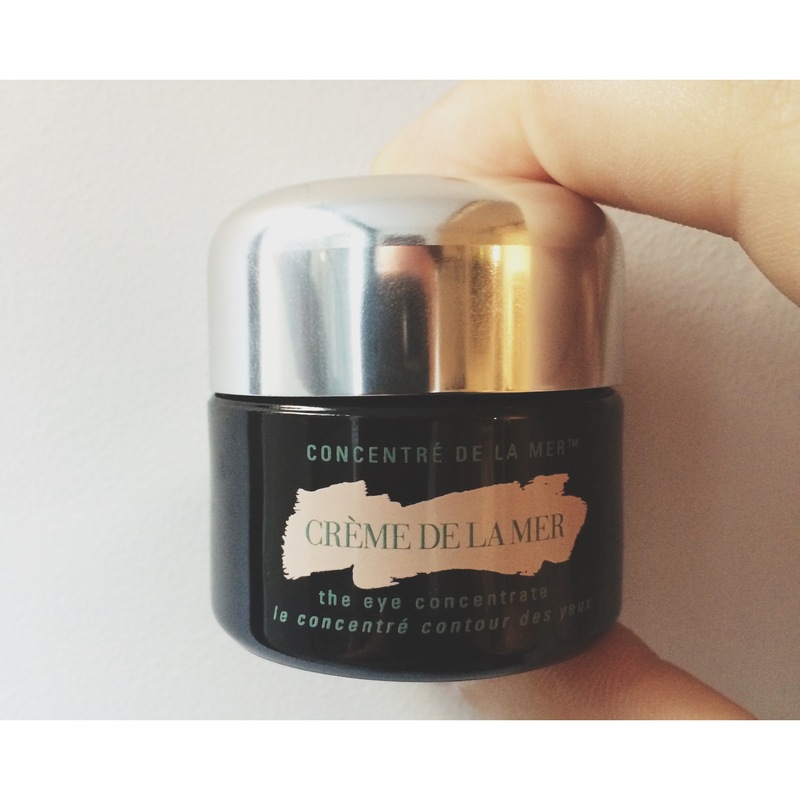 The legendary Crème De La Mer was born. Try this rich, yet weightless cream formula, which will leave your skin looking luminous. This versatile moisturizer boasts a lightweight fluid formula, which donates your skin a satin finish. If you wish to achieve a matte finish look, opt for the Oil-free moisturizer in a lightweight fluid formula. For a velvet finish, don’t look any further than this ultra lightweight, cooling gel. It instantly refreshes and hydrates your skin, leaving it ultra soft. See more about the Discovery Range here! This entry was posted in Beauty & Grooming and tagged beauty, cdlr, chanel, creme de la mer, fashion, tom ford. Bookmark the permalink.